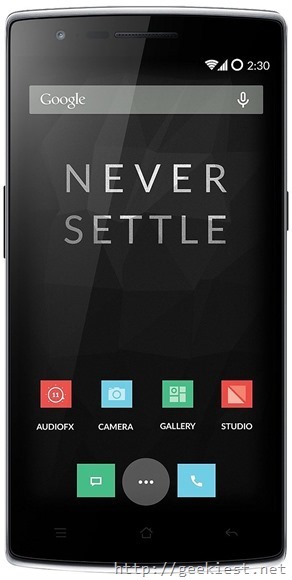 OnePlus One, the first phone released by OnePlus, which was a flagship killer is on Sale now. The price of this phone is not changed after the release. Now it is available for a discounted price of INR 17,999 on Amazon India, that is you will save INR 4000. Am a proud ownder of a OnePlus One and I must say that the phone is good. Earlier OnePlus conducted a discount sale of this device, that was for INR 19,998. 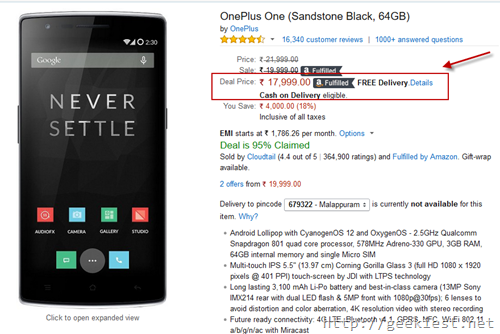 Now you can get a OnePlus One for just 17,999, that is the lowest price ever. If you are looking for a device we can suggest this phone for you. it really worth for this price. Get Microsoft Lumia 640 Dual SIM Windows phone for just INR 9,999 for a limited time.